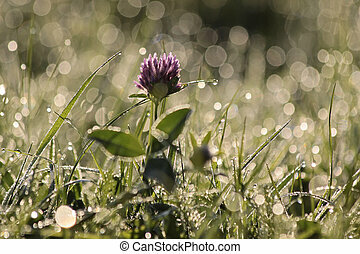 Clover with dewdrops in park. 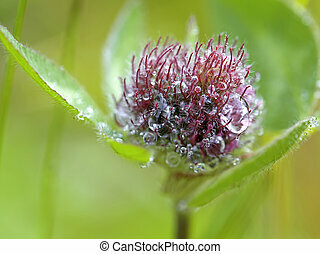 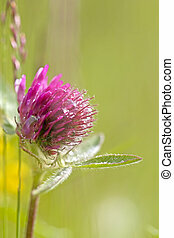 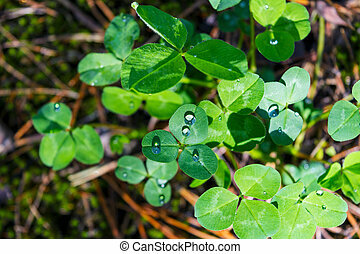 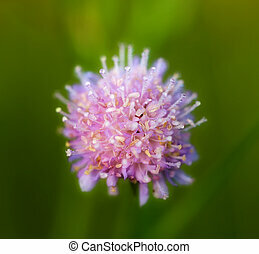 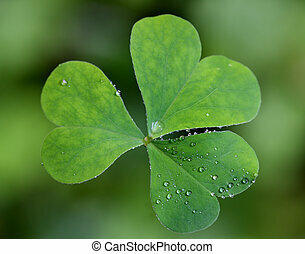 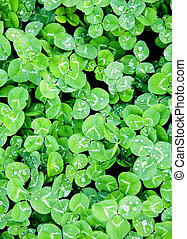 A top view of a single clover with dew drops mostly covering one of the leaves. 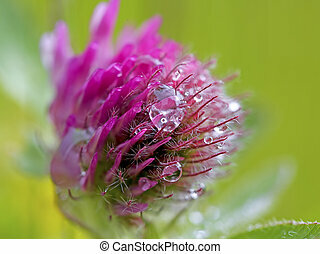 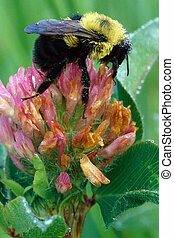 Shot was taken with a Canon macro EF 100mm lens. 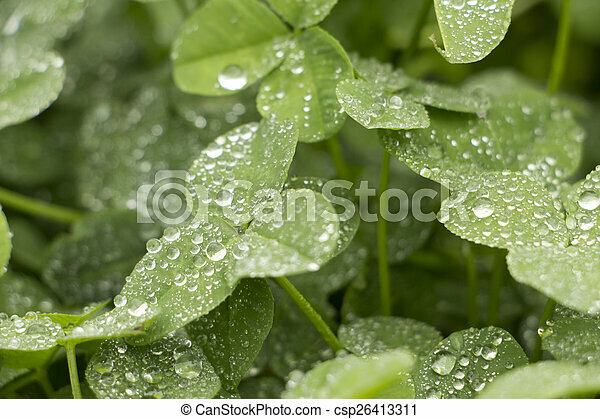 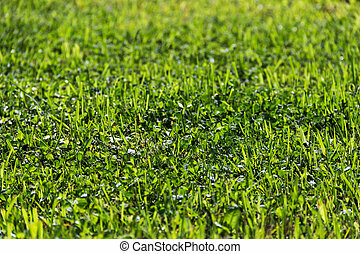 Green clover leaves with morning dew in meadow. 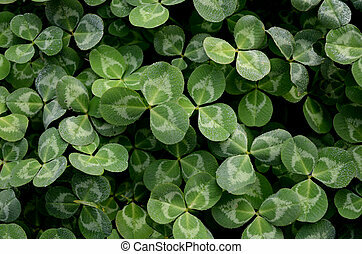 St. Patricks day symbol background. 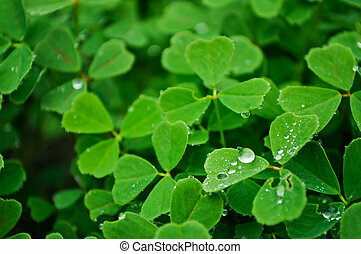 Summer shamrock Irish festival symbol.